LOS ANGELES—As the people in Armenia prepare to mark the 100th day of culmination of the “Velvet Revolution,” when Prime Minister Nikol Pashinyan took office, it is worth reflecting back on the events that led to that monumental change and assess the events that have shaped the narrative of the New Armenia. “It’s hard to imagine that it has only been 100 days for the new government,” said musician, artist and activist Serj Tankian in an exclusive interview with Asbarez English Editor Ara Khachatourian, who reached out to the System of a Down frontman via email to gauge his views on this milestone. 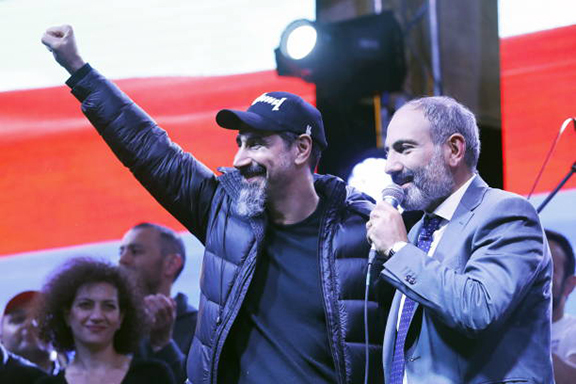 Tankian, who was a staunch supporter of the movement, traveled to Armenia to be part of history when Pashinyan was elected prime minister on May 8, after the people of Armenia toppled the Serzh Sarkisian regime in a peaceful—and bloodless—revolution that ushered in a new era for Armenia. ARA KHACHATOURIAN: What are your thoughts about the first 100 days of the new government? SERJ TANKIAN: First off, it’s hard to imagine that it has only been 100 days for the new government as I think there’s been more progressive positive change in that short period compared to the last 25 years. The work of the new government is quite commendable as they are balancing cleaning up the mess left behind by the previous administration while forging ahead with rational egalitarian policies for the future of Armenia. The rule of law has finally been observed in Armenia creating an exciting rebirth of a nation. A.K. : In your observation of visiting Armenia, has the prevailing approaches and attitudes of the people changed? S.T. : I remember thinking that I’ve never seen so many ecstatic people in one place in all my life when I went to Armenia at the tail end of the revolution. Once people felt empowered to paint their own destinies freely unto the canvas of Armenia’s socio-political fabric, the country changed for the good, forever. They now have a government that truly listens and responds to their concerns and are embedded with the hope necessary to forge the road ahead of true nation building. Honestly; I feel more effective and productive in Armenia overall than I do in the US, especially given some of the political regression occurring here. A.K. : Do you believe that the events that have taken place, especially within the judicial realm, are positive and will they address the larger corruption plaguing Armenia? S.T. : Whatever corruption that may be left in Armenia is dissipating automatically as the oligarchic, monopolistic brand has been permanently poisoned. The population is utterly excited about seeing justice served by the national security apparatus and the courts. And irrespective of what we see in the short term there is full commitment to hold all responsible in front of the law. People in power have ashamedly and with impunity stolen billions from a country with one third of the population living below the level of poverty. Justice will prevail in this regard. A.K. 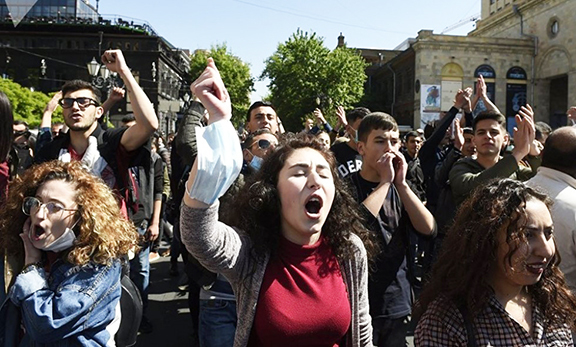 : What has the new government done to address social justice issues in Armenia? S.T. : The new government is trying its best to address social justice issues in Armenia from pension reform to equal educational opportunities, environmental justice to bringing in new investments into a corrupt-free Armenia to create more jobs and opportunities for all its citizens. All this is being done to create a more dignified happy public and create a homeland where repopulation occurs. A.K. : Can you assess the role the Diaspora has played during this time? S.T. : In the previous Armenia the diaspora was only seen but not heard. They wanted our investments but not our critique. The new Armenia wants us to join all-in to truly help the nation building process. Although financial investment is necessary they are more interested in our professional resources, expertise, and willingness to be a part of the fabric of the new Armenia. That is a strong departure from the past. The diaspora in the past has been disconnected from Armenia. The revolution brought a new excitement to the diaspora as well. I like to say that we need a new revolution in the diaspora now as well. It’s time to reconfigure the diasporas to match the needs and enthusiasm of our new Armenia. Let’s not forget our overall complicity in supporting unjust regimes for all those years. A.K. : What do you see your role in the burgeoning Armenia? S.T. : The revolution is the best thing that could have happened to our people. We now all have a chance to make Armenia the place of our dreams with hard work, determination and vision. I have volunteered my services to be helpful wherever I can. A.K. 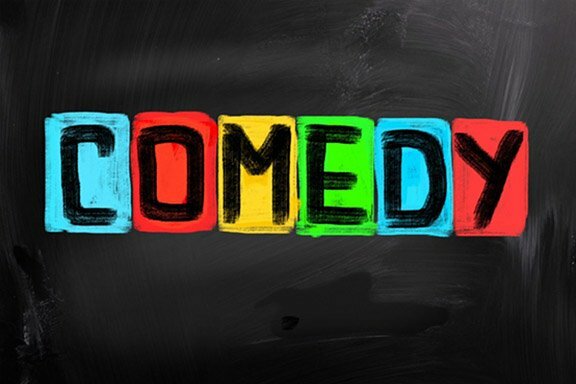 : Are there projects and programs that you will be engaging in? S.T. : Yes, many. Along with being on the boards of some amazing foundations working in Armenia—“My Step,” Tumo, Creative Armenia to name a few—we are looking at completing a film about the revolution tentatively titled “I Am Not Alone.” The story of this peaceful Velvet Revolution is so unique and inspiring that it must be told to international audiences. It would help raise awareness for our nation and our people on a grand scale. We are also looking at other opportunities to bring more people and interest to Armenia in the musical realm. As in the past I am also interested in procuring environmental justice within Armenia and have put in some work in that direction. A.K. : Talk about your involvement with Hai-Tahd. How can some of those initiatives be used to engage the youth of Armenia in fighting the Armenian Cause? S.T. : Now is a great time in our nation’s history where we all need to truly evaluate the effectiveness and strategies of our past and current policies toward Armenia and the Armenian cause in general. I have worked many years with a number of organizations especially the ANCA to further awareness on the Genocide. We recently collaborated with ANC of Australia to start work on a motion for Genocide recognition in the Parliament of New Zealand and had a successful event in Wellington on Aug 6 and 7 with Taner Akcam as speaker and viewing of the film “Intent to Destroy” by Joe Berlinger. We need to build a global case for reparations against Turkey on a scale they can’t imagine and not just go after recognition of the Genocide while continuing to find ways to assist Armenia on an international level. A.K. : Any thoughts that you might have that I have not asked about. S.T. : Yes; one. The ARF needs to reposition itself within Armenia to be more in line with the principles of the revolution and the demands of the people there. Past and some current policies in Armenia have severely damaged the brand of an otherwise incredible international organization that has done more for the Armenian cause than any other worldwide. The organization’s strengths are in community building and fighting for political justice. That’s what the focus should be in Armenia. Nothing has really changed. Kocharian is back in and will most likely create a political force strong enough to challenge the so-call velvet revolution. The powers that be in collusion with Russian will never let Armenia free. Just too much at stake to relinquish power to the people. Nothing changed? REALLY? and Russia is protecting us …it is time to know that………Typical Armenian pessimism! Nothing has really changed. Kocharian is back in and will most likely create a political force strong enough to challenge the so-called velvet revolution. The powers that be in collusion with Russia will never let Armenia free. Just too much at stake to relinquish power to the people. Maybe we need Stae of Emergency like Turkey!